Before Samuel was even born his mother, Hannah, dedicated him to a life of what we would call “full time ministry.” Because of this dedication, Samuel grew up in the temple under the instruction of Eli the priest. Even though Eli and his greedy, adulterous sons were not the best examples for Samuel, he served God from a young age and grew “both in stature and in favor with the Lord and also with man.” Samuel continued to grow and to serve and was a righteous judge in Israel his whole adult life. After Samuel had been judging Israel for several years, the Israelites decided they wanted to be “like all the nations” and have a king instead of a stuffy ol’ judge. This was not what the Lord had planned for His people. He did not bring the Israelites out of Egypt to be “like all the nations.” Yahweh called the Israelites out to be a people set apart, to be His people. He wanted to be their God and to rule over them in love and righteousness with Samuel as His mouthpiece. But, the people were relentless in their desire, as the ignorant often are, and demanded they get what they want. Finally God told Samuel to go ahead and give them their king. Probably with a sigh and a “what are ya gonna do?” shrug of His heavenly shoulders. When you’re learning to be a teacher you’ll probably be told once or fifty times to, whenever possible, offer students opportunities to make the right choice rather than telling them what to do. You will be told as many times to never give a student an option that you wouldn’t be happy with or willing to follow through with. For example, if a student is caught scribbling their crush’s name on the bathroom stall, it would be unadvisable to offer that student the following options: 1. Stop writing on the bathroom stalls or 2. Never use a writing utensil at school ever again. The sly student is going to choose the second option and find themselves unable to do any assignment you give them because “you said I can’t ever use a pencil ever again.” Whoops. But of course God didn’t have the wrong guy. He chose Saul and even in the midst of Saul’s doubts, He used him. Even though this wasn’t God’s first and best plan for His people, He used Saul for their good. After being anointed by Samuel and transformed by the Lord, King Saul stood up for the people of Jabesh-gilead (who, without the help of Saul, would’ve had their right eyes gouged out) and defeated the Ammorites. And everyone rejoiced. “See God?! We told you a king would be a great idea!” But even a great earthly king cannot compare to a Great Heavenly King. God’s first and best plan was for the Israelites to serve Him only. And no human king (especially not a Benajaminite) can compare to that. And all of that brings us to Samuel’s speech – his “farewell address” as my ESV Bible titles 1 Samuel 12. Samuel starts off this speech to the Israelites with a reminder of his righteous reputation and his righteous and powerful God. He reminds the Israelites of all the times they rebelled and needed to be brought back to grace by the Lord. Even now, Samuel reminds them of their wicked desire for an earthly king, “when the Lord your God was your king.” Like so many times before the Israelites realize their mistake and are frightened. They are frightened of a powerful God who they have disobeyed so many times. So they ask Samuel to please intercede for them because they are sure that heaping this earthly king cherry on top of a sin sundae is the last straw. “Maybe a king wasn’t such a good idea after all… even one who defends Jabesh-gilead…” They fear the Lord will kill them all (which is a legitimate concern since the Lord killed Eli and his sons for being awful priests). The Israelites had ample reason to be afraid. They had sinned against the Almighty God, whose vengeance they had witnessed first-hand as it was unleashed on their enemies. But in this moment of fear and worry they forgot one thing – God was on their side. Maybe today you need to hear these words of Samuel, not condoning your sins, not minimizing your evil, but exalting the Lord of grace and mercy who has called you His own. 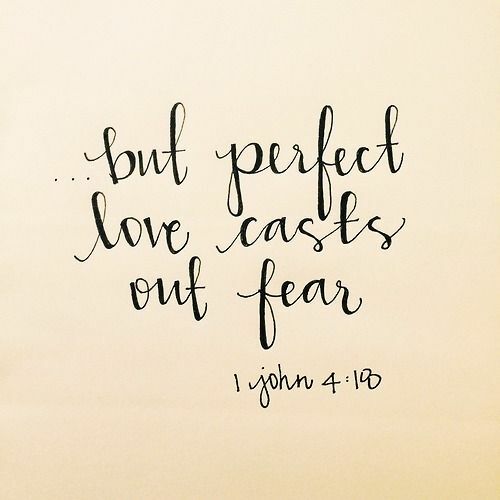 When we have messed up big time, when we have fallen on our faces because of the same temptation that keeps tripping us up, when we choose the earthly and empty over the heavenly and holy, we have no reason to be afraid. Our God will not forsake us now! Samuel challenges us to move forward, to acknowledge “this evil,” and then to follow the Lord without turning aside and with the faith that God will not leave us. After all, it has pleased the Lord to make you a people for himself.